The military's next communications satellite is awaiting a Dec. 7 launch window. WASHINGTON – The U.S. Air Force’s first upgraded Wideband Global Satcom satellite is ready for a planned Dec. 7 launch, Air Force officials told reporters during a press call-in Tuesday. It’s the eighth WGS satellite in the military’s communication constellation, first launched in 2007. It’s also the first to carry an upgrade that will allow it to carry more traffic than previous WGS satellites. Despite having launched similar satellites before, Walter Lauderdale, the WGS-8 mission director at the Air Force Space and Missile Systems Center (SMC), said the team is taking time for all necessary precautions. “Just like each human being is a unique individual, each rocket is unique as well,” he said. WGS-8, like all but the first WGS satellites, will launch atop a United Launch Alliance Delta 4 rocket. The satellite is already encapsulated inside its fairing, awaiting launch from Complex 37 at Florida’s Cape Canaveral Air Force Station. Officials are shooting for liftoff between 6:53 p.m. and 7:42 p.m. EST. It will also feature several spot beams that will aid in cutting through jamming attempts. The satellite costs an estimated $425 million, but will provide 45 percent more bandwidth than previous WGS satellites. That’s due to a digital channelizer that more efficiently handles communications. According to information from WGS prime contractor Boeing, the channelizer divides uplink bandwidth into 1,900 sub-channels, providing communications more routes for transmission. The Air Force added $111 million to Boeing Satellite System’s contract in 2012 to add the digital channelizer to WGS-8 and WGS-9. The new channelizer will also be included on WGS-10, which the Air Force ordered from Boeing around the same time for roughly $340 million. Two more WGS satellites are planned for launch, bringing the constellation total up to 10 by 2019. Each satellite is designed with a 14 year service life. 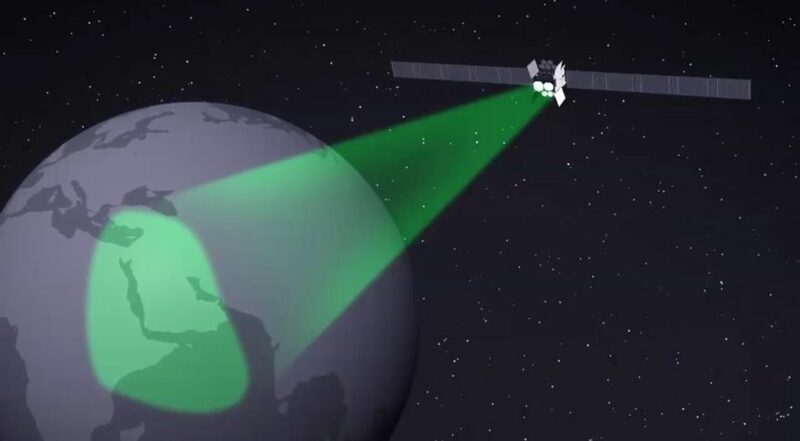 Becht said the Defense Department is “kicking off an analysis of alternatives” to see what the next step in military satcom might be after WGS concludes, which could include purchasing communication services from private companies.